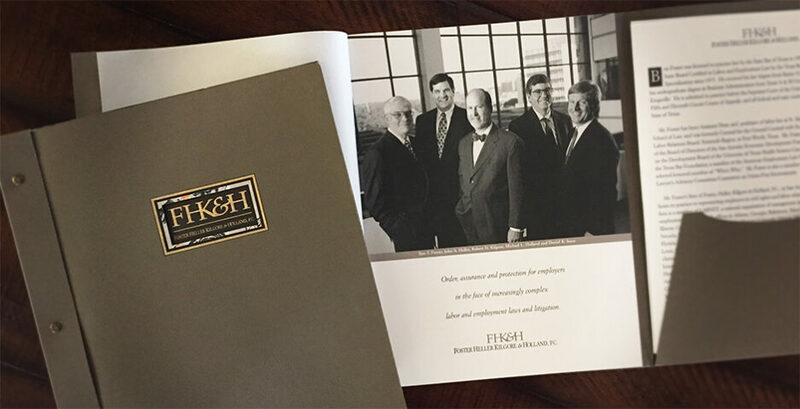 GOAL: Design presentation folder for FHK&H law firm. 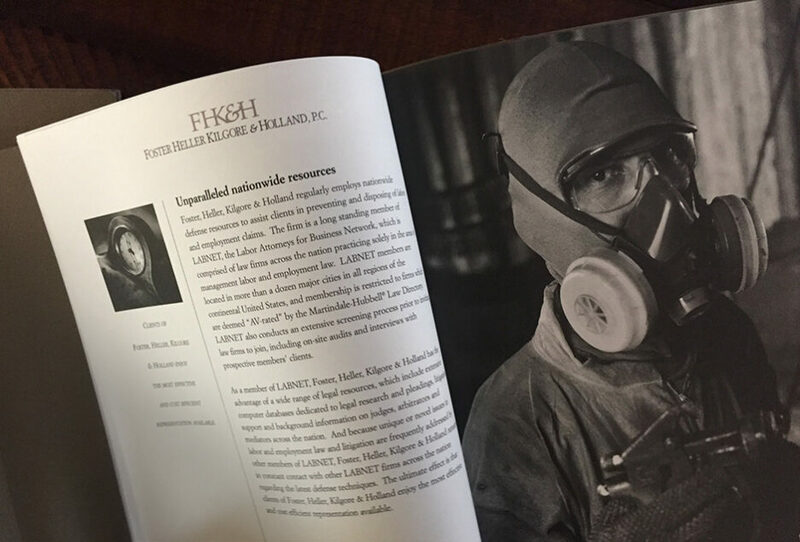 RESULT: Bound with custom, brass grommets, the kit used handmade paper and a gold-embossed foil logo, all united by the firm’s brass color. 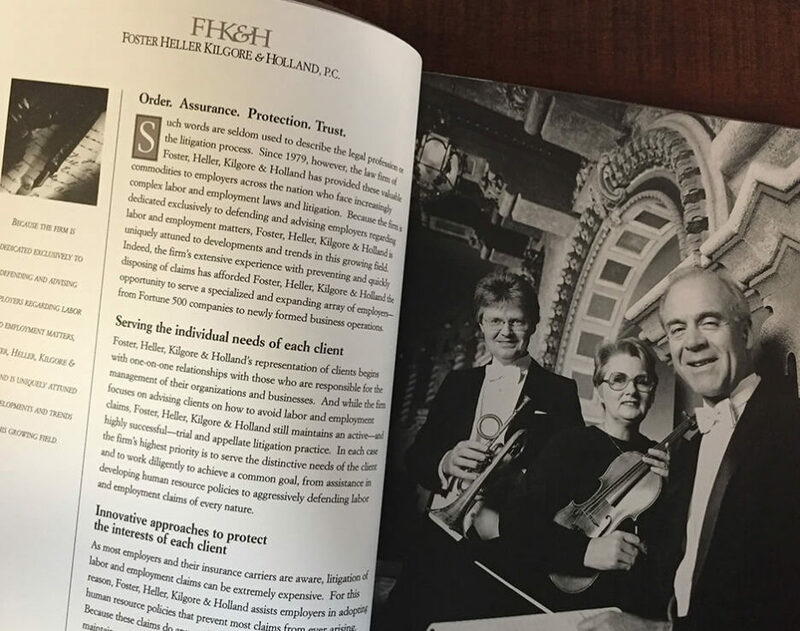 Stylish duotone photos and inserts of firm capabilities and partner resumes defined their “old-world” brand, rich with experience and tradition.